Describes the nature of gospel ministry and answers some common questions that those who are considering it may have. by Vaughan Roberts et al. 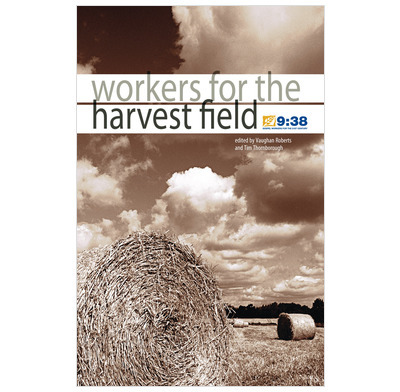 The Lord Jesus saw a vast harvest waiting to be gathered in but hardly any workers to do the job. So he issued an instruction to his followers: 'Ask the Lord of the harvest, therefore, to send out workers into his harvest field' (Matthew 9:38). That command still applies today. Although 2000 years of Christian witness have past, there are still millions in our world who have never even heard the name of Christ. Even in countries where many profess to be Christians there is great ignorance, and a spiritual great hunger - which only the Gospel of Christ can answer. This book is an attempt to describe the nature of gospel ministry and to answer the questions that those who are considering it may have. The aim is not to persuade everyone that they should give up their present jobs and offer themselves as workers to churches and missionary organisations. We all have different gifts. But we should all be asking ourselves this question: 'What is it that I could do that would most bring glory to God through the spread of the gospel?' For some that will mean staying where they are, for others it will mean a significant change of direction. Section 1: What is gospel ministry? I am involved in some ministry apprentice training and this book has been very helpful in my preparation. I was pleasantly surprised at how easy it was to read and yet dealing with such a serious subject. Also it is very sound and makes one realise how important it is even in this day and age that we realise that there is such a great need and that in actual fact all christians can and should play a part in the task to take the gospel to the rest of the world. The opening chapters are a must read and good reminder for those at any stage of thinking about full-time paid Gospel work, looking at what it is and the character it requires. The book closes with a few chapters on "where to go from here?" which outlines potential options, but is probably worth speaking to friends and church leaders about in more depth – Christopher Ash’s chapter on “Guidance” is definitely worth a prayerful read. The book is splattered with a helpfully wide range of case study snippets, of individual’s experience of their route into full-time ministry (or indeed the route showing that it wasn’t for them). All in all, a helpful and balanced read on the nature of Gospel Ministry. An interesting read. We used the book for a small group of guys coming together to discuss bible teaching.